Projects that teach students about non-point source pollution can be applied to core science and math standards. 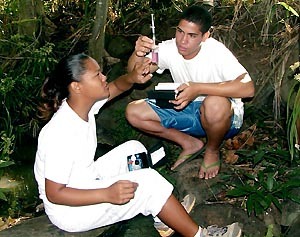 Through research programs, monitoring and understanding the effects of pollutants, students gain knowledge they can use in their lives and to teach others. Learning about non-point source pollution is the first step to making important changes that will effect the environment.